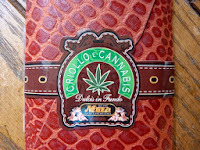 Today was Day #5 of Chocolate and Hemp Theme Week. 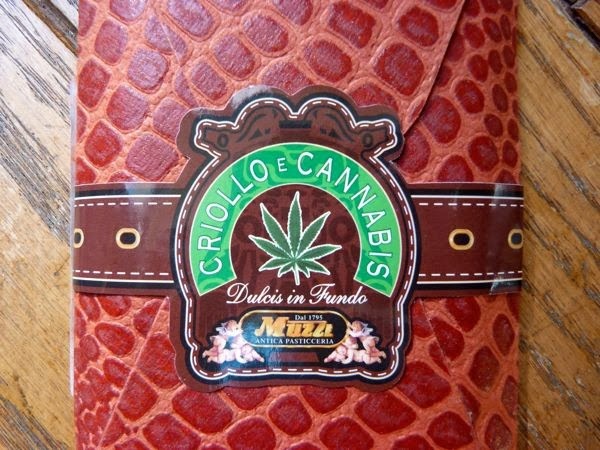 Despite the inclusion of the word "Cannabis" in the name of this Criollo e Cannabis bar from Italian chocolatier Antica Pasticceria Muzzi (Roma, Italy) -- and the leafy green logo -- this 55% Criollo dark chocolate bar with toasted cannabis seeds contained no mind-altering chemicals (THC). 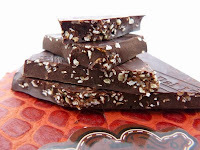 This bar had a touch of mellow, malted grain flavor, and slight crunchiness from the tiny riot of seeds. In the U.S., toasted hemp seeds are adding texture and flavor to an increasing variety of snacks, cereals and dishes these days. Foodstuffs are often included under discussions about "industrial hemp" -- to differentiate some hemp products from marijuana with the active ingredient THC -- a substance subject to a ban enforced by the U.S. Drug Enforcement Agency (DEA). Hemp seeds and hemp fiber are the main "legal" items that have emerged in the market*. 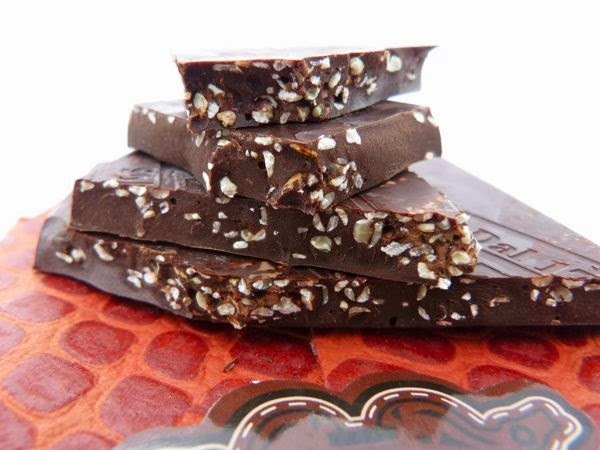 And hemp seeds have been showing up in chocolates in recent years. *For centuries, hemp was grown in the U.S. for many purposes (including fibers for rope, clothing and paper, oil, resin, pulp, fuel).